I love classic makeup looks, I don't think there's anything more attractive and sophisticated than a red lip with dramatic eyes but that's not always practical for day time unless you're known for a red lip. A more toned town, day time alternative is a lip tint which is a shade or two darker than your natural lip colour. The MeMeMe Cherub's Blush is actually a lip & cheek tint but because I'm not really a fan of blush I have just been using it as a lip product. The brush is very similar to what you find on nail polish but it doesn't make application difficult at all, I actually find that it's quite easy! I apply to both my top and bottom lip and then I blend with my finger; the only problem with that is that it does leave you with a stained finger if you don't wipe it off immediately. It's not drying like some lip stains can be and its staying power is pretty good; I think it looks gorgeous with a slick of clear lip balm on top. You can build it up to create a more intense pink shade, I personally prefer two or three coats but it just depends on the look you're going for. Overall I think it's an affordable alternative to some of the pricier lip tints on the market and the colour is the perfect wearable summer pink! 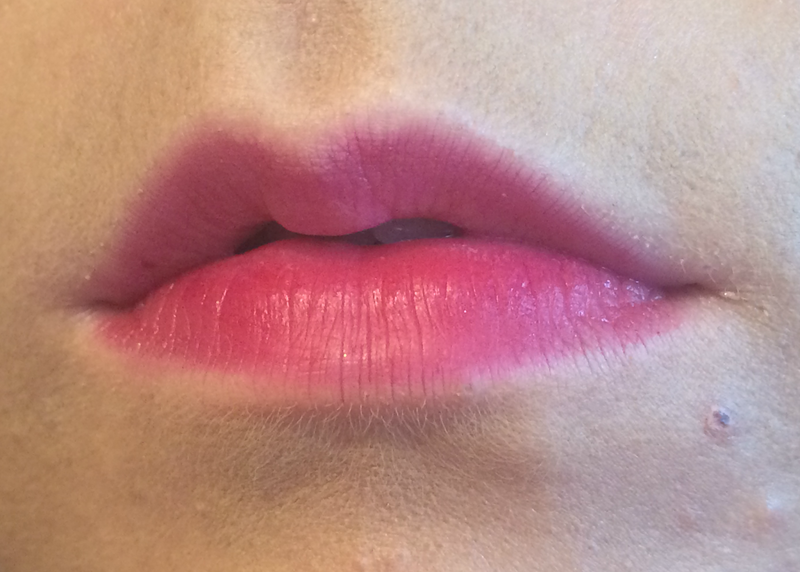 I wouldn't usually go for pink lip products because I find they're a bit too garish for my skin tone but this is really easy to wear because you can control the intensity of the colour & you also don't have to worry about it melting in the heat like lipstick and your hair doesn't stick to your lips, unlike some glosses! What's your favourite kind of lip product? Love lip and cheek tints. They are the best! This color is so pretty!